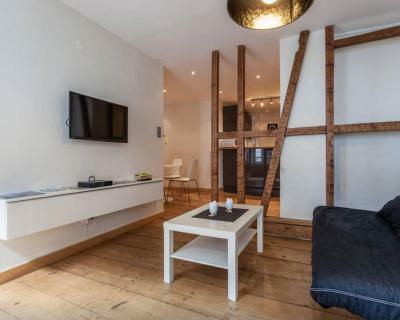 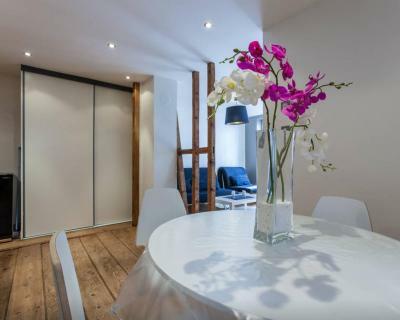 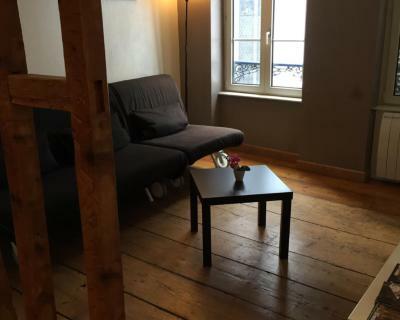 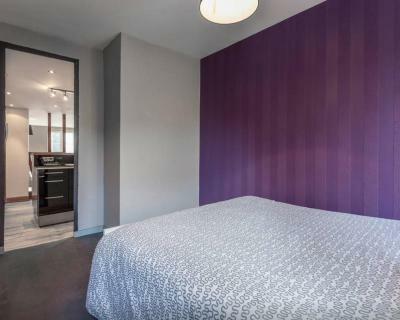 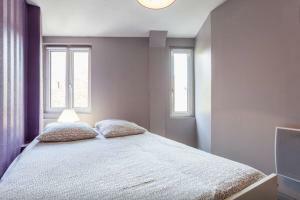 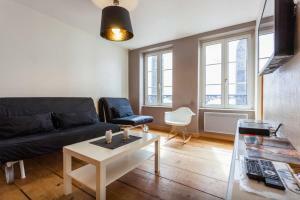 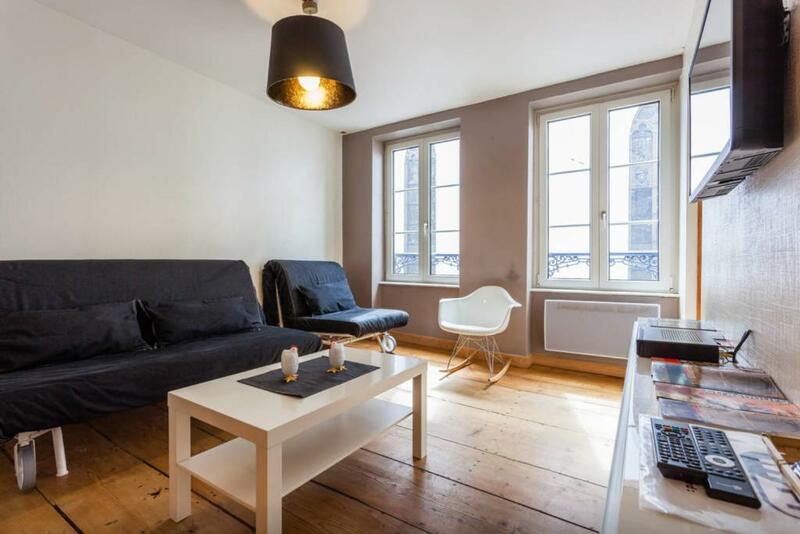 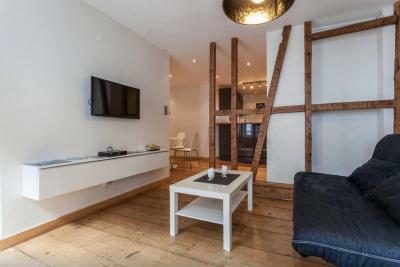 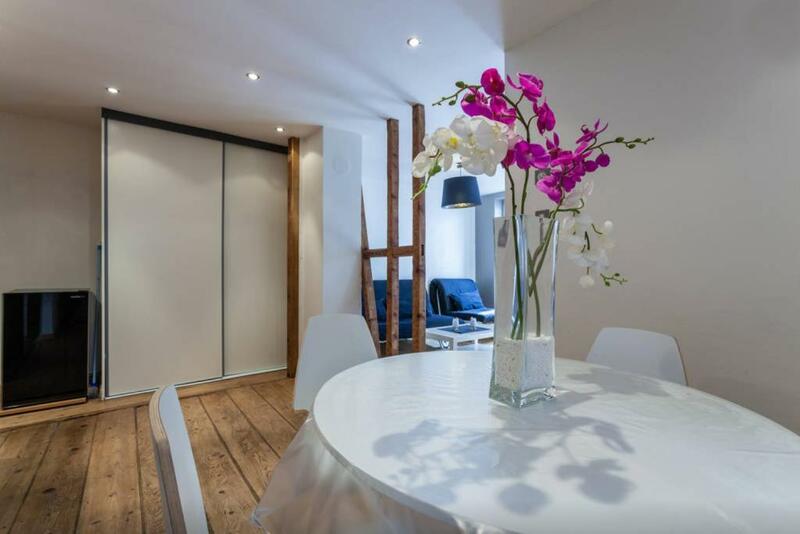 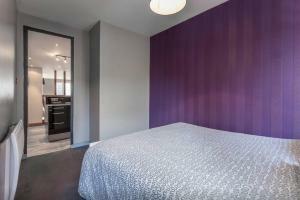 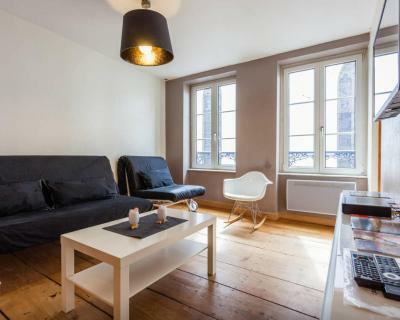 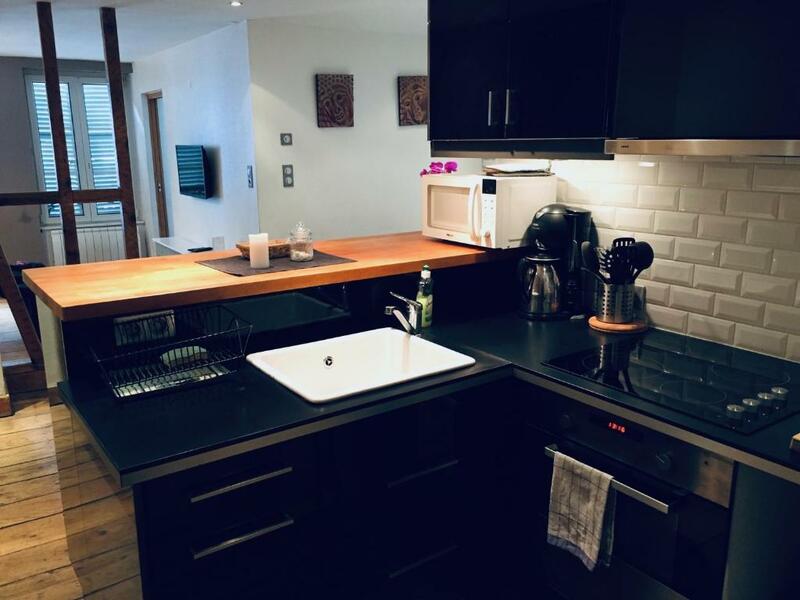 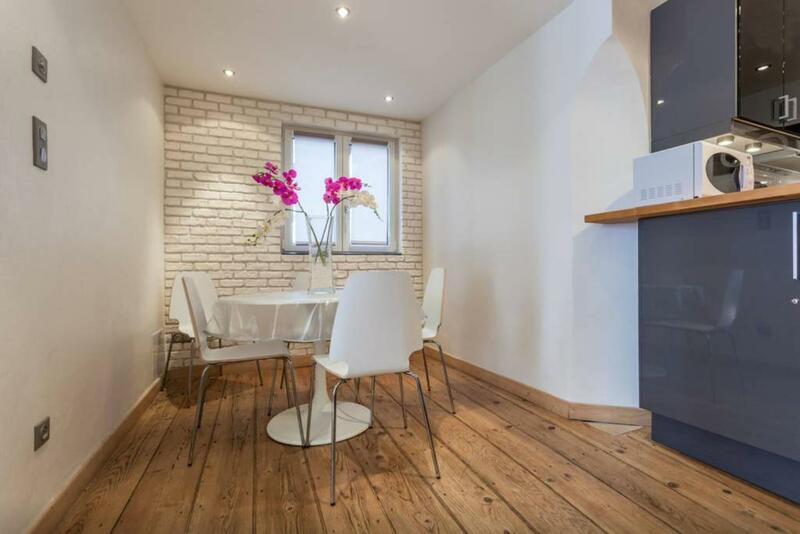 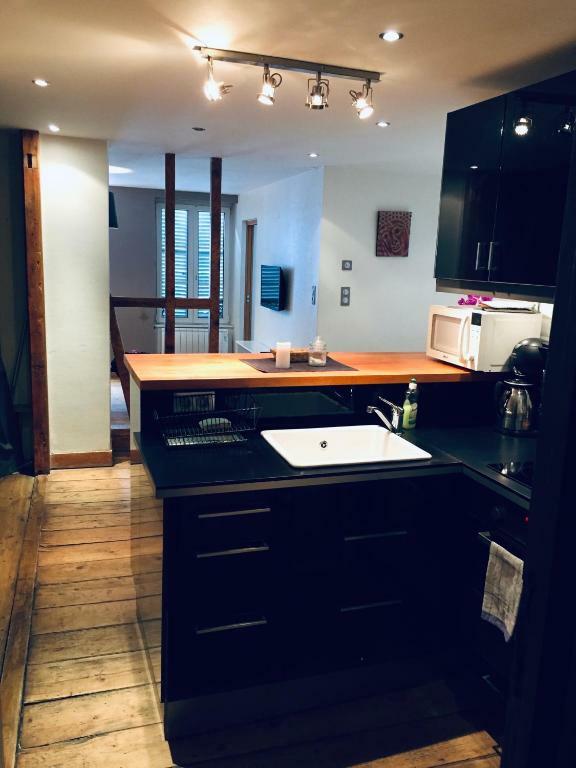 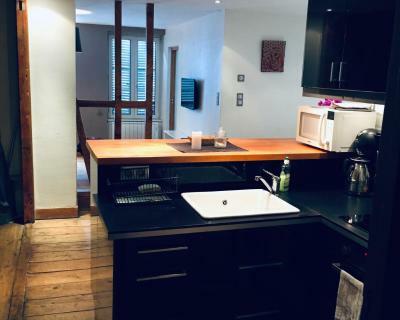 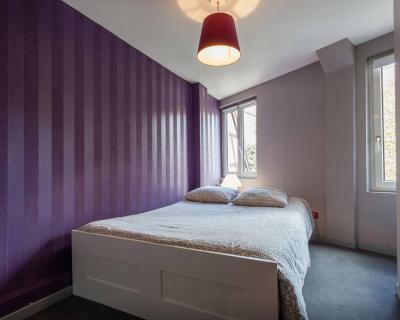 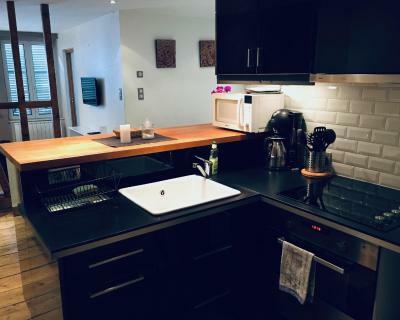 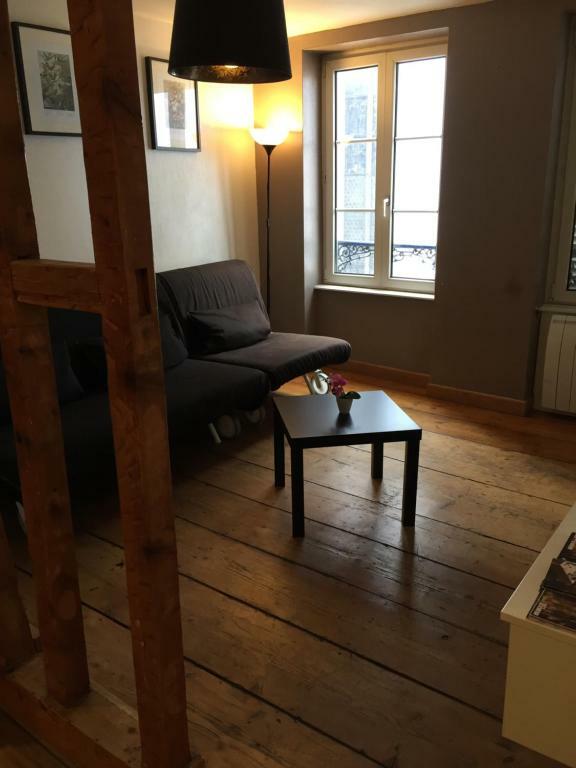 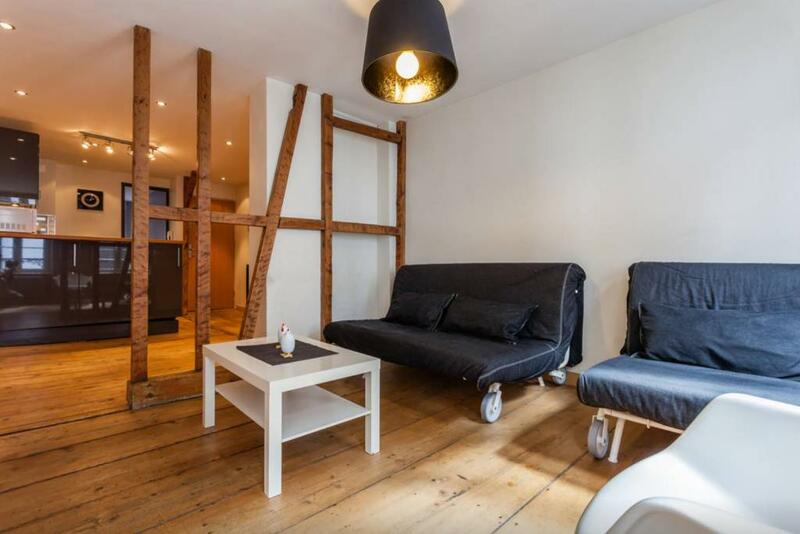 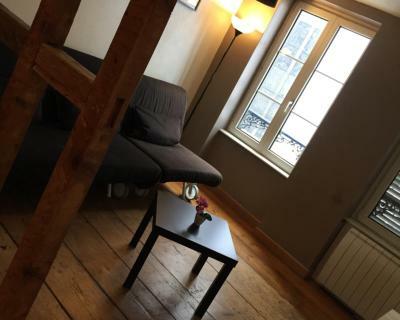 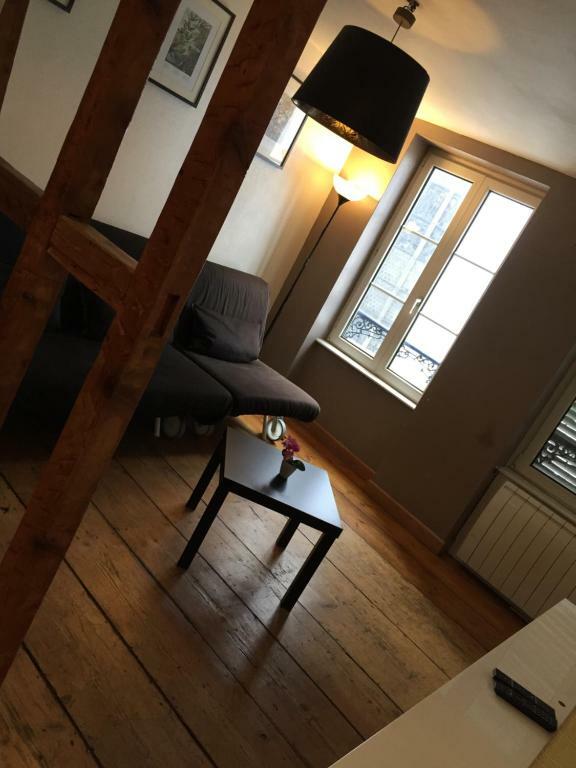 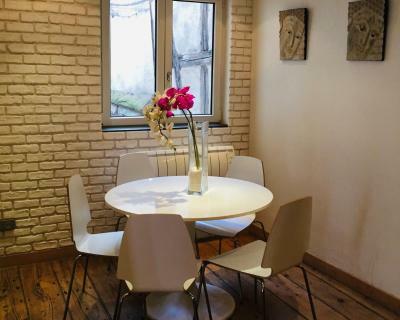 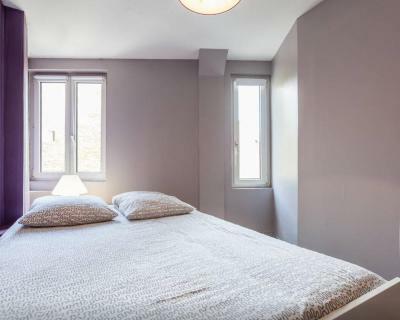 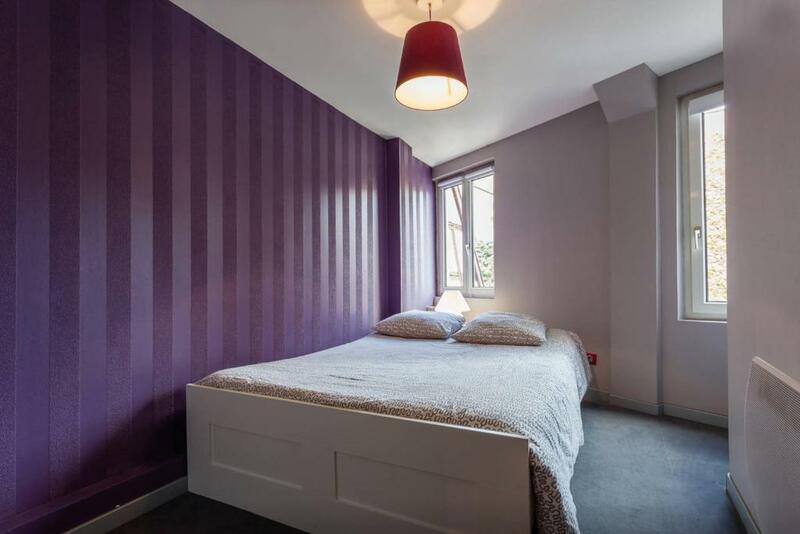 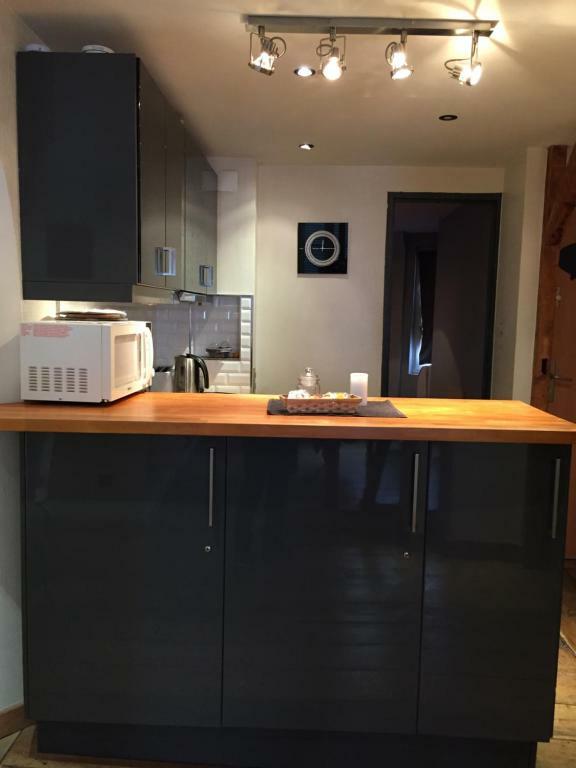 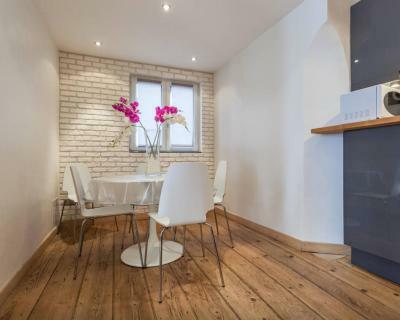 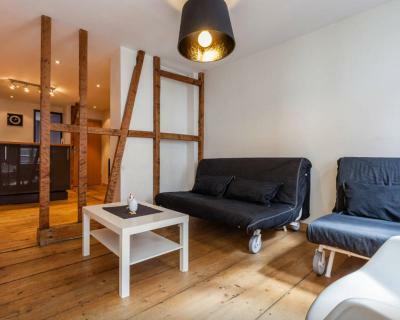 Charmant appartement sur les quais de Strasbourg is a one-bedroom apartment located in Strasbourg, by the river Ill. 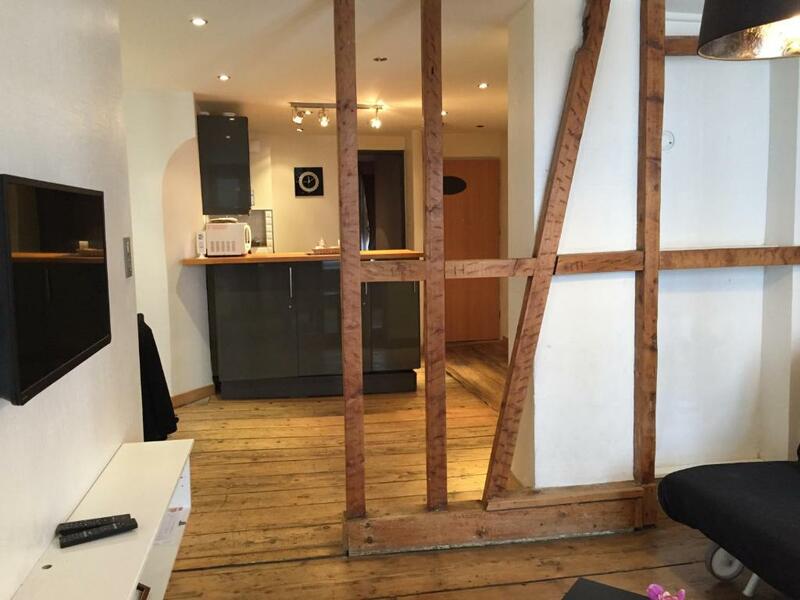 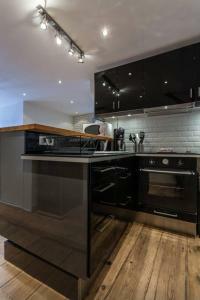 The accommodation features exposed beams, a flat-screen TV with satellite channels and free Wi-Fi access is available. 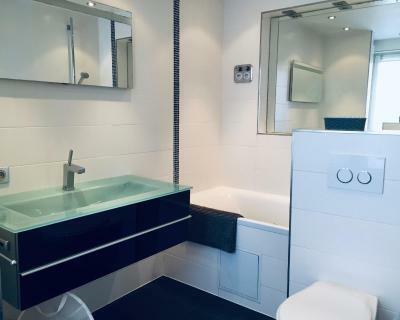 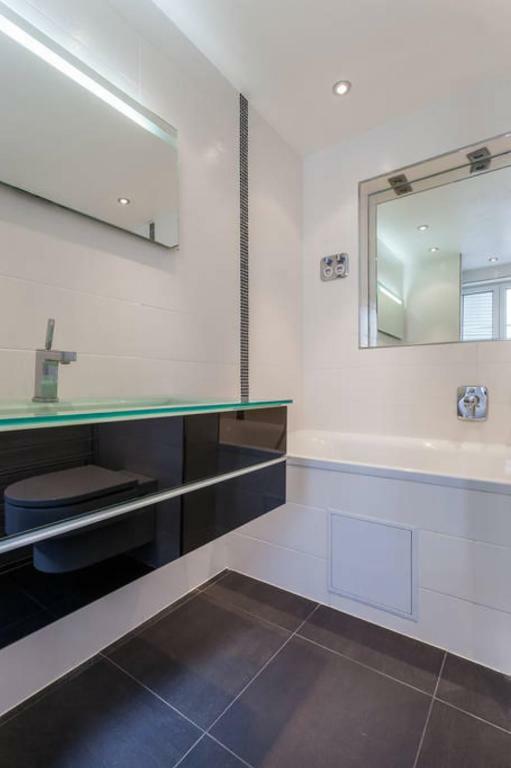 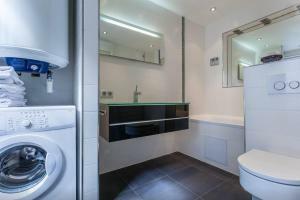 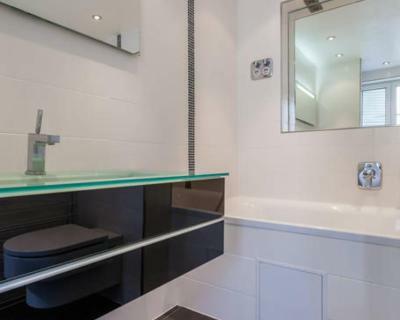 Featuring a bath and a heated towel rail, private bathroom also comes with a hairdryer and free toiletries. 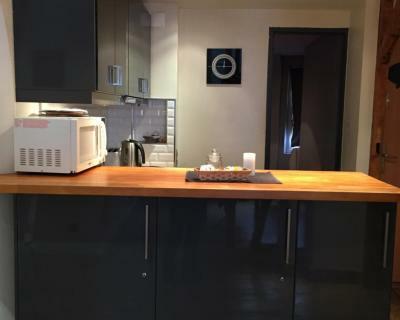 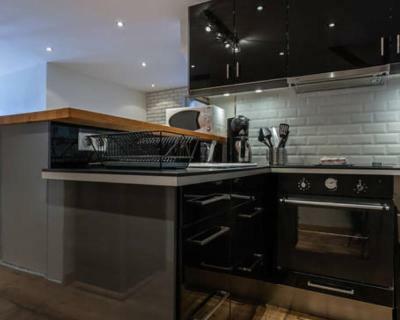 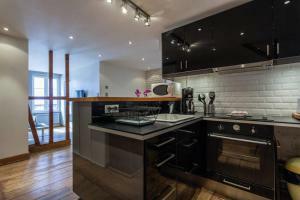 A washing machine as well as ironing is also provided There is an open plan kitchen with a dishwasher, a coffee machine and a microwave. 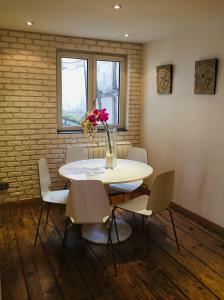 You can sample your homemade meals in the dining area. 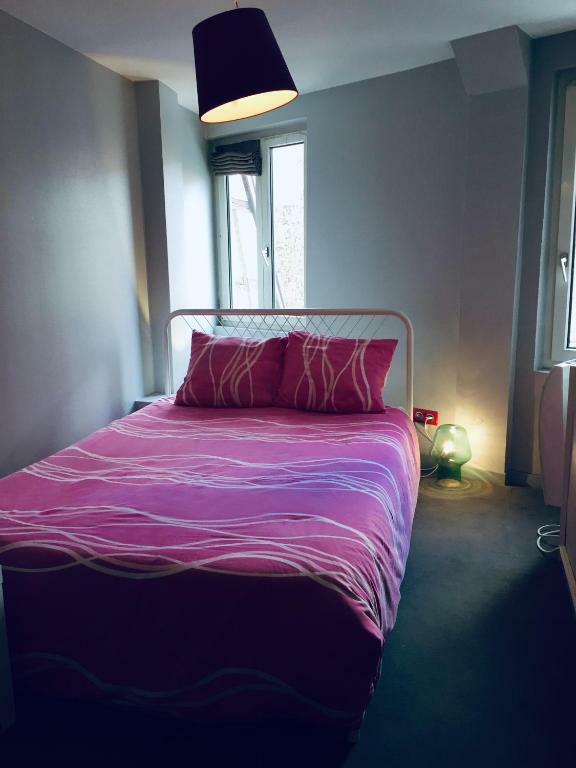 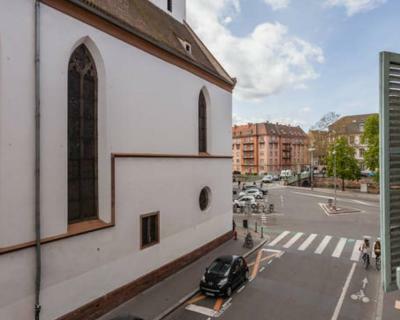 The property is 1.2 km from The Petite France District and 1.7 km from Strasbourg Train Station. 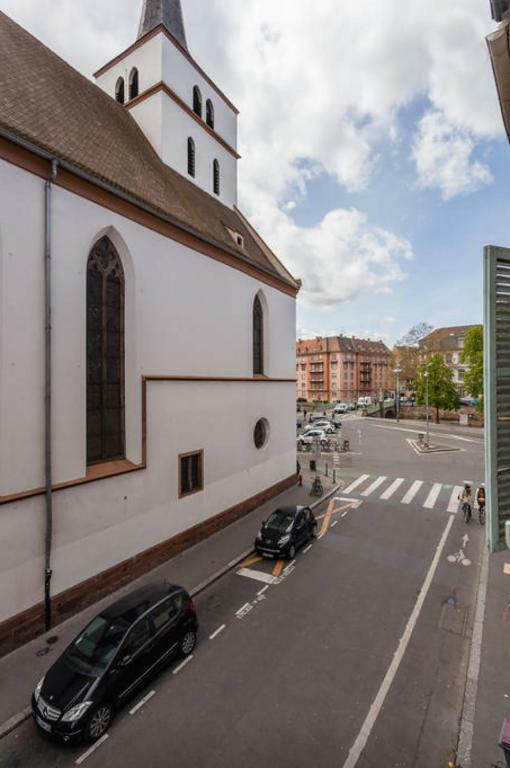 The cathedral is 500 metres away from the apartment. 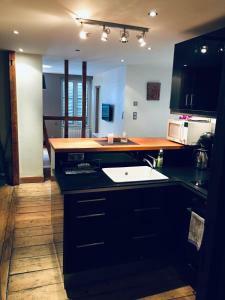 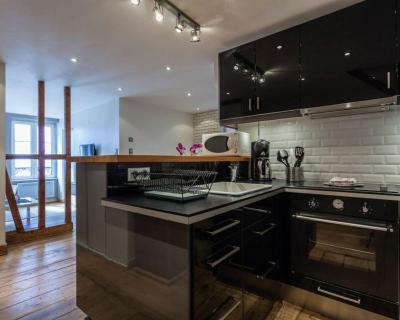 This double room has a kitchen, sofa and private entrance. Please note that late check-in after 21:00 is possible and is surcharged EUR 20. Please note that the property does not have a reception. 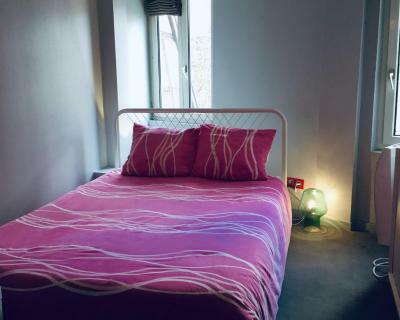 Please contact the property in advance in order to arrange check-in and key collection. Contact details can be found on the booking confirmation. An additional cleaning fee for cleaning is charged and is obligatory. 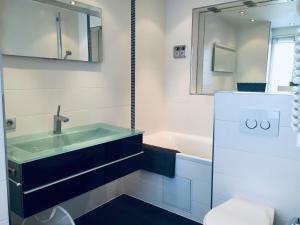 The total amount of your stay (without the cleaning fee) will be preauthorised on your credit card in order to ensure your booking. 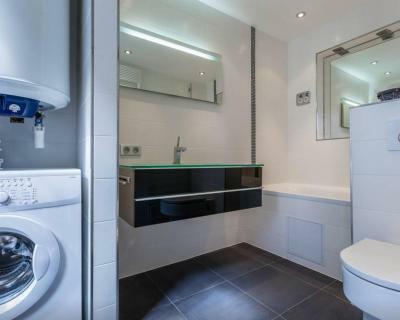 It will be totally released the day of your arrival.